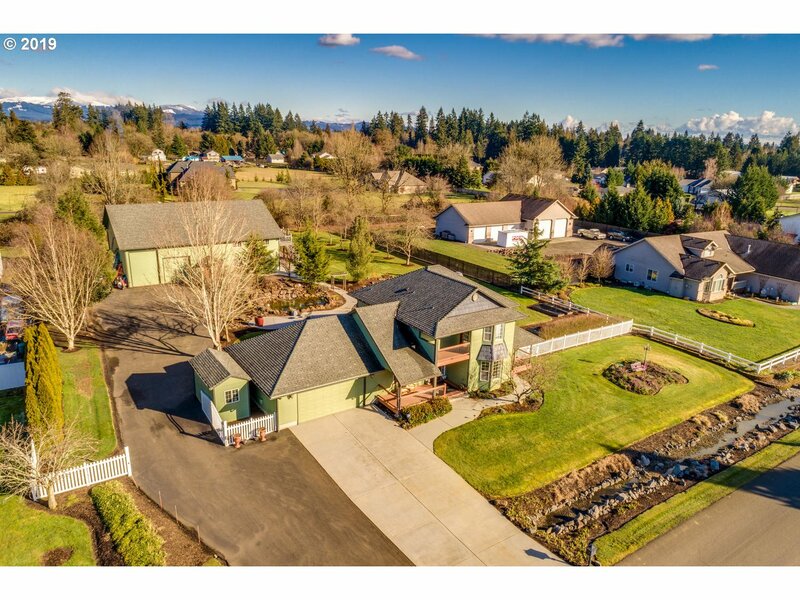 All Battle Ground homes currently listed for sale in Battle Ground as of 04/19/2019 are shown below. You can change the search criteria at any time by pressing the 'Change Search' button below. If you have any questions or you would like more information about any Battle Ground homes for sale or other Battle Ground real estate, please contact us and one of our knowledgeable Battle Ground REALTORS® would be pleased to assist you. "Magnificent architectural details in this rare 20 acre estate! Breathtaking views of Mt. St. Helens, Adams, Jefferson & more. Timeless amenities include suspended cathedral library, 35' Arrow Timber frame, 25' custom firpl in living rm. Your own private pub/wine cellar, Hidden lookout tower, Gourmet island kitchen w/ hideaway pantry. 2nd living quarters, vineyard, elegant courtyard w/ fireplace. 5 min to town. 30 min to PDX"
"River Front flat 11 acres with putting green. Room for large shop or RV. Has Separate entrance apartment with 1 bdrm, kitchen , liv rm & Bath. Private estate 23 miles to PDX. This home is a cross between very comfortable with exquisite mill work and exotic flooring. Recent $450K Exterior remodel with warranty. New roof, new siding and insulation & wrought iron railings. Park setting with 200 ft of riverbank. 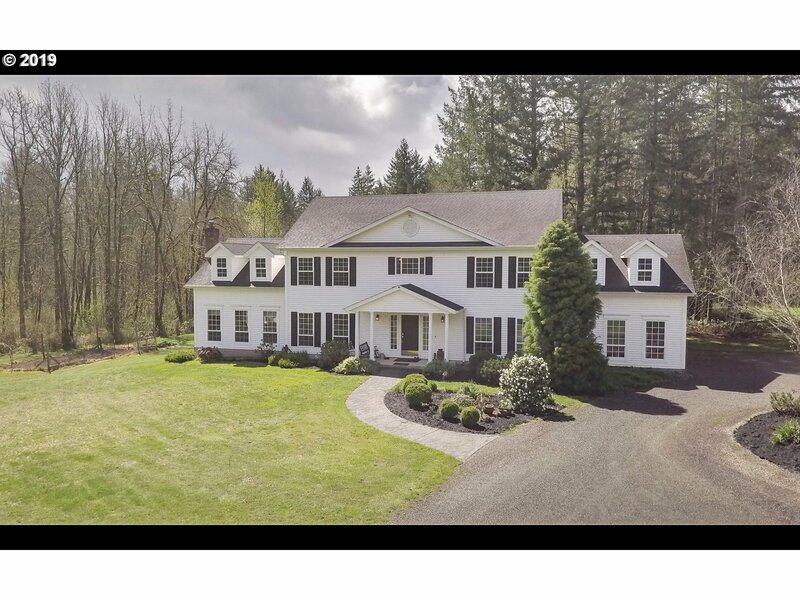 Gated and secure & beautiful"
"VERY PRIVATE COUNTRY ESTATE-An awesome home & property-7 miles to Battle Ground. 2 landscaped acres + 35 acres maturing timber. Custom quality 2 story home, lots of granite & windows captures the stunning view, entertainers delight inside & out, 2 large game rooms, 2 offices on main floor, vaulted ceilings. 2 story shop 32'x 48' w/3-10' bay doors. Extensive asphalt paving/parking. Pond w/waterfall, 2 playground areas w/tall swings." "Escape the noise, traffic & higher taxes! Enjoy Peace & solitude! Estate on 5 hilltop acres. 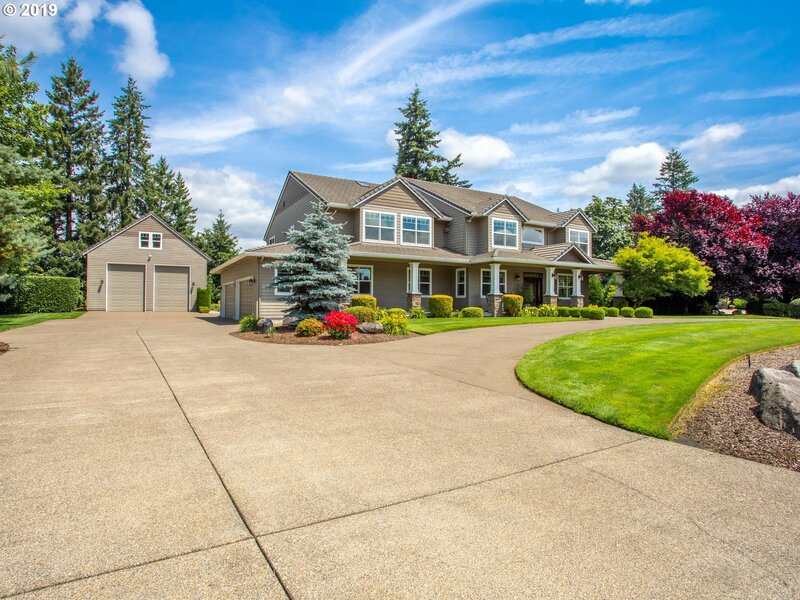 Grand & inviting w/ Views that stretch beyond Portland. High-end custom finishes from top to bottom. The kitchen is the heart of the home w/a $20,000 AGA Range, Sub-Zero Refrigerator & Freezer, custom Maple Cabinetry, rustic-beamed ceiling. An Entertainers Dream Home. Triple car Garage w/220. Paved Road to home, newly paved secondary driveway." "This 10.49 gated sub-division is a piece of paradise and shared with 10 other HOA exclusive owners. Complete w/BB courts, paved walking jog trails (bikes for kids & doggies, tennis courts & baseball diamond. The home & grounds are impeccable. 1-Bed on main & 5-ensuites upstairs w/bonus. Just 25 Min. PDX. 16' ft. door RV Shop w/potential (760 sq. ft.) suite above. 15 min to shopping & entertainment. Garages can hold 10 cars. Appt. Only." "Cape Cod Style Home nestled in the trees on 2 acres. Property can be divided into 4 additional lots! 1 mile to town & walking distance to schools. Large 30 x 46 Shop w/ 4- 10x14 RV sized doors & 220! Thru the front door leads you Family Entertaining Area featuring 21ft ceilings with skylights & Open Concept Dining & Kitchen Area. 2 large 500sq ft upper bonus rooms over each end of the home. Room for all your toys & zoned to build more!" "Huge value in this property is in the sub-dividable aspect. There are 12 lots plus the house. Or 4 more lots if the home is removed. In addition to the six bedrooms there is also a private den for all of your office needs.Home is remodeled outside and in and could be sold separate. Phase One has been started! This land is ready to become part of Phase Two.."
"Phenomenal, modern, single level, luxury smart home. Located in sought after Camellia Estates. Custom built with too many amenities to name them all. 8 ft. tall tinted windows, heated tile floors, white quartz counter tops, 3 zone Yamaha surround sound, 20 ft. tall master shower with Finland sauna. 500 sq. ft. covered outdoor living space with fireplace and jet Jacuzzi. Control from your smartphone, all located on a gorgeous 1.4 acres"
"Beautiful 6 acre property with lots of development potential. Farmhouse style house with master suite on main level offering french doors and slider to backspace. Kitchen features tile floors, built ins and slider to spacious backyard. Two bay attached garage and two large shops with plenty of RV/boat parking and storage. Development opportunity R-12 zoning, 6 flat acres, 3 minutes from downtown." "Gorgeous Custom Victorian style home on 5 acres with 535ft of River frontage, in a gated community. Home is 5295 sq.ft. plus 800 sqft in an apartment above 5 car garage. Old world craftsmanship in this beautiful modern Victorian. Includes library, gorgeous hardwood floors, spacious kitchen with huge butler's pantry, Intercom, Built-in Vac & Dehumidifier systems, wine bar, ample storage & indoor Atrium w/Koi Pond." 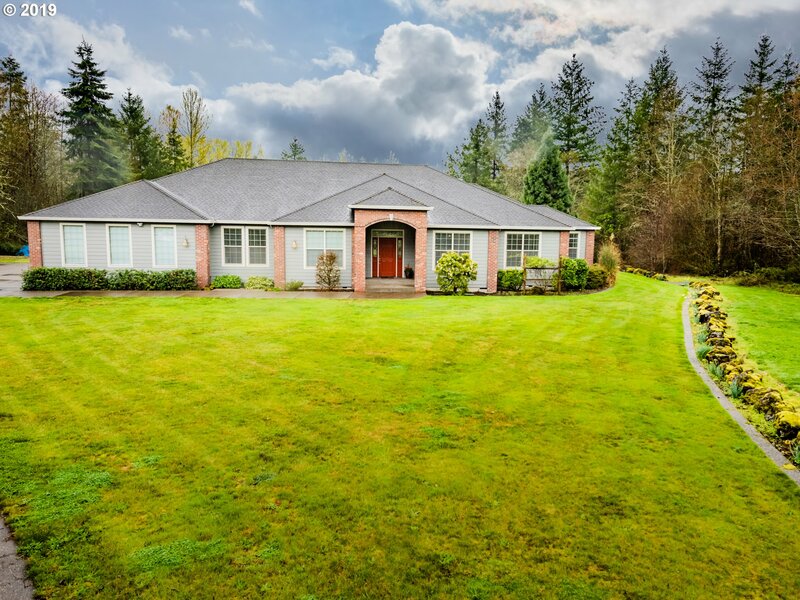 "NW CRAFTSMAN ON 5 LEVEL ACRES! Superbly designed home features quality finishes & many custom touches. Main level features a spa-like master suite, 3 add'l bdrms & 3 full baths and den. Its stunning kitchen includes granite and commercial line appliances. Upper level offers 2 bdrms, full bath and bonus room.Add'l amenities include central vac,cov'd patio,deck,barrier-free living on main,security system & shed. Sensational floor plan!" "Opportunity awaits! Zoned Mixed Use, bring your home business! A few things you'll love - atrium focal point crisp kitchen w/quartz counter tops, high end Viking appliances, apron front sink separate family, living, and extra finished/sun room main floor master w/clawfoot soaking tub, walk-in shower, tons of cabinetry large bedrooms w/jack-n-jill style bath attached 4 car or boat garage 5 acres privately landscaped." "Recently updated home with HUGE shop and mother-in-law quarters on manicured 1 ac lot!! Beautiful kitchen w/shiplap, slab granite, eat bar, bamboo floors, new carpet, new int/ext. paint, master bath has double sinks, jacuzzi tub, travertine floors, balcony off master. 60x48ft shop, 220v, plumbed for air compressor, bonus living space above shop w/kitchen, bathroom & a bedroom ,large Koi pond, Must see!!!" "This home is amazing! What are you looking for? Home features 4 bedrooms, office and a library. Upstairs on both ends of home is huge attic storage that could easily be finished anther room, nursery off master of a huge master suite! Huge shop 62x30. Enclosed RV parking with a 12 foot door. Separate large storage shed/ barn out back. Truly amazing." "Spectacular state park like waterfalls! Must see!!! Gorgeous open Mt St Helens view! Bordered on two sides by miles & miles of state land to explore. Built in fire sprinklers on roof. Wired for generator. Kitchen: 3 lazy susans, roll out drawers, walk in pantry. Well: 38 gallons per minute. Deep garage sink. Lots of cabinet space in laundry w/built in iron board. Extra closets everywhere. Built in bookshelves. Waterfalls and Mt view." "Developers!! Great Opportunity! Beautiful Flat 9.67 acres in the heart of Battle Ground with a well kept home and a barn? Business Opportunities galore! Set up for horse ranch, or Car Dealership, business center with apts/condo's above. What's your dream? Surrounded with territorial views of the mountains, yet close in to all the modern conveniences! New paint inside and out, and a New roof! Co-Agent related to seller." "Immaculate custom built home in gated community. High ceilings. Brazilian Cherry wood floors. Gourmet kitchen features built in china hutch, SS appliances, granite, huge island. 5th bedroom can be a bonus room. Den/office off entrance. Master features fireplace and spa like bath with jetted tub & walk in tile shower. Move in ready. Tons of storage. No kids/ pets have lived in this home. Insulated window shades. Please remove shoes." "Amazing Opportunity! 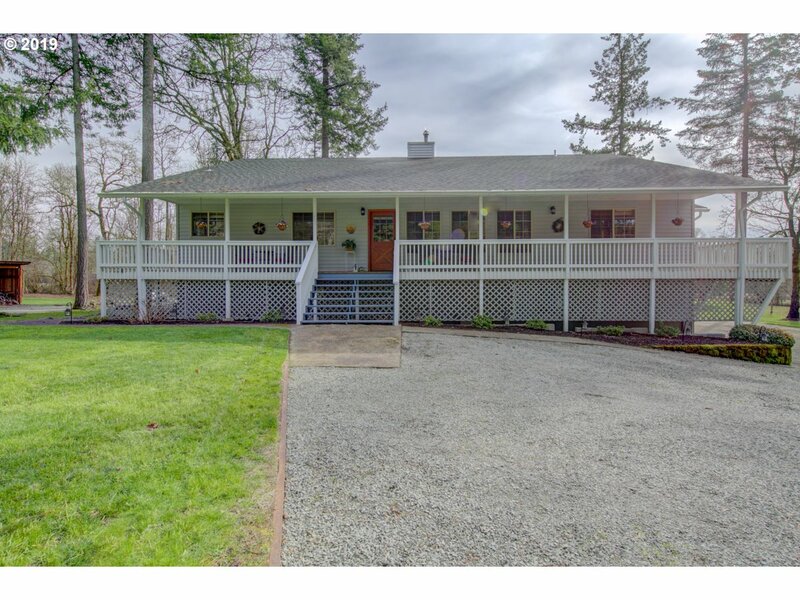 Completely remodeled home with over 200k in upgrades with complete wrap around deck. 2 brand new kitchens, 2 laundry rooms, 4 bedrooms with their own baths & walk in closets. Mother in law suite. 3 car attached garage. Mega shop 40x60 with 16' RV doors. Fruit orchard. Mature trees, Comcast internet/TV. County approved for 2nd home build. Fully fenced with 3 entrances Buyers to do due diligence on 2nd home build." "Value is in the land. Very livable home. PUD water and irrigation well. Farming plan available. Positioned in MU-R zoning. Sewer is planned to be installed on Grace Ave. Good potential for multi-use property. Great opportunity to be part of the planned growth of Battle Ground." "Looking for tranquility? Well then this is the place for you! This gorgeous well cared for home is tucked away on a flat beautiful 6.03 acres with nearby Battle Ground and Battle Ground lake! Plenty of room with 2734 sq. ft 4 bdrm 2 & 1/2 bath with 4 car garage. Sit around the outdoor fireplace on the back patio and watch the wildlife come and go! You won't be disappointed! Appointment only!" "New construction to be completed April 2019. 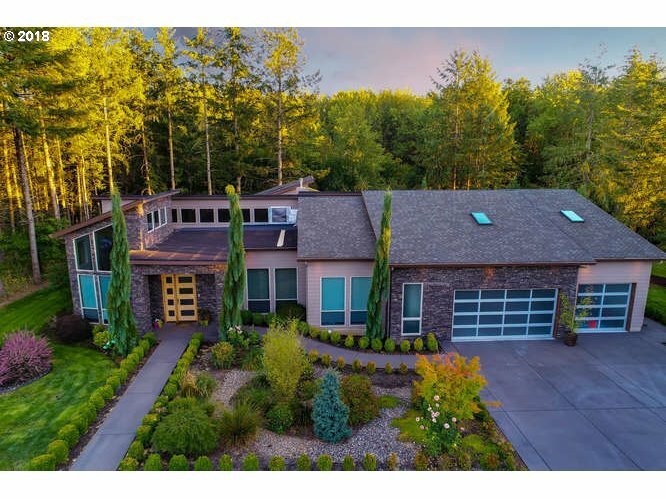 Sprawling one-level custom home on a flat 1 acre lot. Enjoy the view from the large covered back patio. Plenty of room to park an RV, boat or store your toys in the over-sized 4 car garage. This great room concept also has 3 bedrooms, 3 bathrooms, an office, formal dining and bonus room." "Beautiful fenced acreage- Main house has HUGE living room, formal dining, 2 bedrooms, Upstairs loft/play room/ third bedroom?? Attached mother in law/guest home is wheel chair accessible! It has a good sized bedroom, bathroom, walk-in closet with washer dryer hookups! Kitchenette (no stove), ductless heating and ac!" 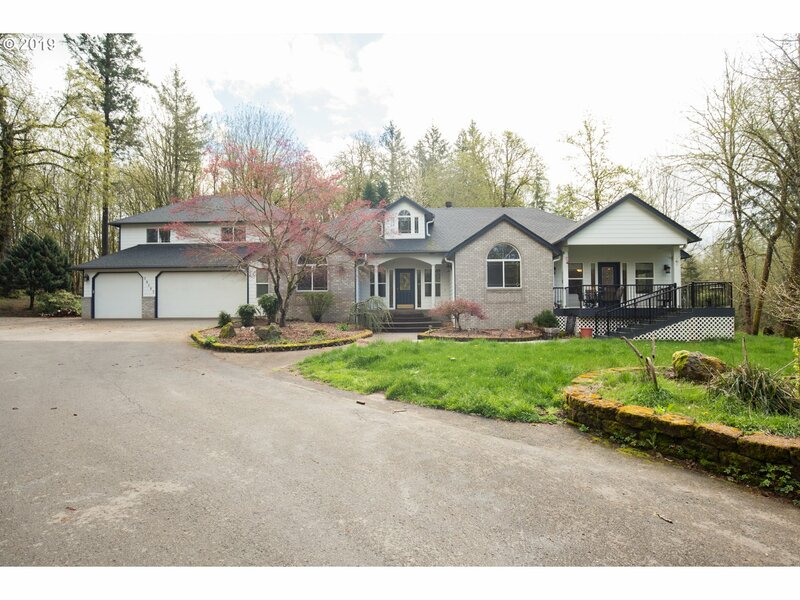 "Exquisite custom one level home with over 2 beautiful acres! This Spanish style home boasts high ceilings throughout with lots of natural light. Wonderful open concept floor plan great for entertaining. Kitchen has tile counters, island & nook that opens up to a covered patio! Spacious master suite is separate from other bedrooms & has its own fireplace! Expansive outdoor covered patio & dream shop with 220 power & 10X30 carport!" "Beautiful Home w/ 5 Flat, Usable, Fenced & Cross Fenced Acres! Plenty of Room for Horses or Other Livestock! 36x96 Barn w/ Tack Rm, Loft, Heated Office Area, 4 Stalls, Plenty of Room for More & Studio Apart! Formal Living & Dining! Spacious Kit w/ Blt-Ins & Nook! Family Rm w/ Fireplace! Den on Main! Mstr w/ WIC & Bth! Covered Porch & Patio! Horse Corral! Minutes to Battle Ground & Lake! Just outside UGB! Slow Down Only 5 MPH on 223rd!"